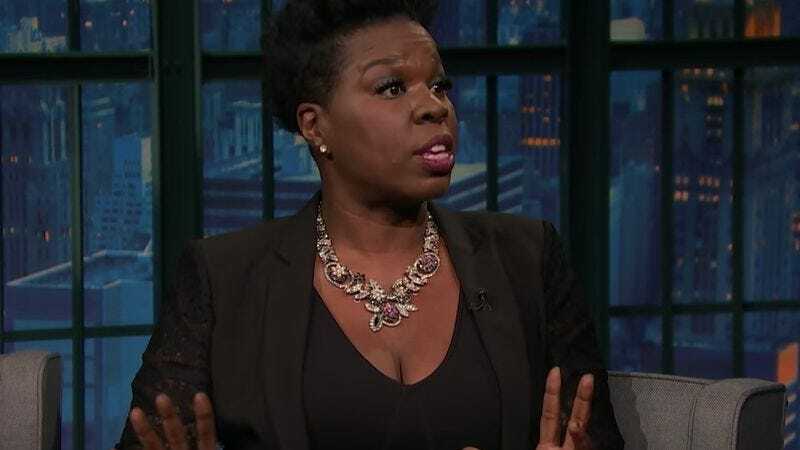 As we reported earlier this week, Leslie Jones was the target of some vicious attacks on Twitter. The Ghostbusters star and Saturday Night Live cast member is an avid user of the platform, but she was besieged by racist messages from the kind of assholes who have the time and malice to engage in such things. It appeared to many that she had quit the site entirely, but, as she told Seth Meyers on Late Night, she’s not afraid of those jerks.